These days thin and light ultrabook laptops are becoming much more popular than the bulky desktop replacements that were en vogue a couple years back. If you replaced your 17″ notebook with a 13″ ultrabook, it is time you replace your big laptop backback with something sleeker. 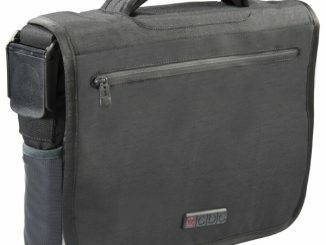 In this ECBC Poseidon Laptop Messenger Bag Review we take a detailed, hands-on look at one option. 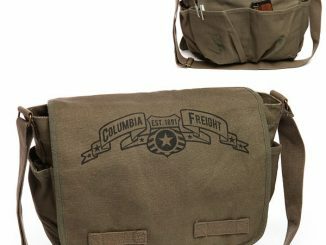 The ECBC K7202 Poseidon is a compact messenger bag designed to carry laptops with screen sizes up to 13 inches. 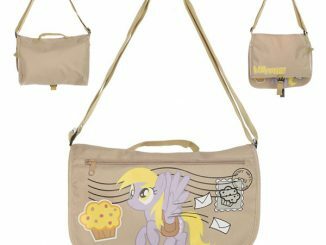 Even though this laptop messenger bag is svelte, it is packed with pockets, straps, and features. 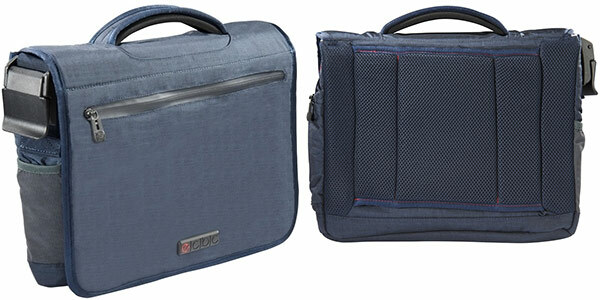 The main compartment includes a fleece lined padded pocket that is ideal for carrying an ultrabook. It is also perfect for holding an iPad or other tablet, as the soft fleece lining will protect against scratches on the exposed screen. There is even a modular foam block and can be added or removed as needed, so the compartment can snugly fit smaller 11″ laptops. 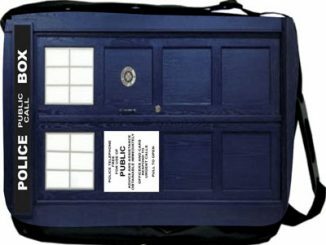 Inside the main compartment is another large pocket, where you can carry a large textbook, as well as one large and 2 medium velcro pockets. On the outside front of the main pocket of the e|c|b|c K7-202 Poseidon (the part normally covered by the main flap) are more pockets: 1 large zipper pocket, 2 large velcro pockets, 1 small pocket, and 4 pen slots. This location also has a key fob strap where you can securely attach your keys or other item with a ring. Close the bag up, and there are still more pockets. 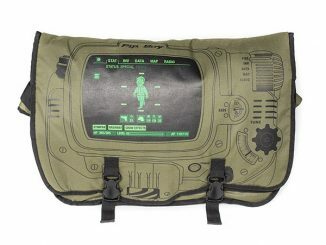 There is a large side pocket, protected with a waterproof zipper, where you can keep papers you need fast access to. On the end there is another zipper you can open to access a water bottle pocket. The stretchy mesh bottle pocket makes it easy to access your drink and stash it again with one hand. 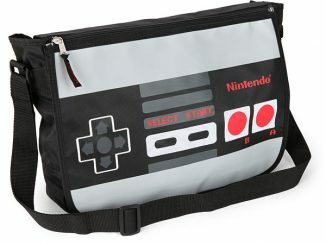 On the other end is another stretchy pocket to carry smaller items like gum or your iPod. Above that is an adjuster for the shoulder strap. 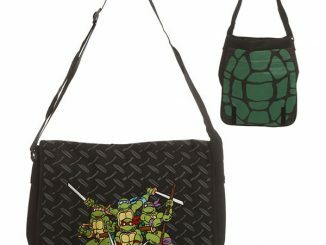 That strap has a removable pad, so your shoulder can stay comfortable even if you’re lugging around your rock collection. 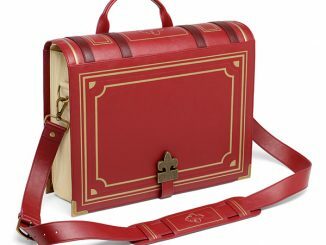 The bag also has a foam padded handle on top if you prefer to carry it briefcase style. The backside of the Poseidon messenger bag is nicely padded with an air-mesh panel so you remain comfortable when it rests against your side. There is also a luggage trolley pass through, so you can easily secure the bag to the handle of your suitcase / rolling carry-on luggage. As described about, the features of the ECBC K7202 are extensive. It seems like they have thought of everything and have all the pockets needed to keep you organized and your electronics protected. So the design is great, and overall the fit and finish is also excellent. There are no flaws, all the stitching is straight, there are no loose threads, etc. The materials are also excellent, especially the 1000d Kodra main construction material. For those that don’t know, this high-density tough nylon and very strong, ridiculously durable, and highly resistant to abrasions, while still being lightweight. This fabric also appears to be very water resistant, and combined with the water resistant zippers, the contents of the bag should remain dry even if you’re out in the rain. 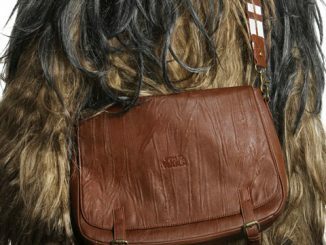 The Poseidon Messenger Bag has been developed to simplify your life, yet stay focused on the many requirements of creative individuals. 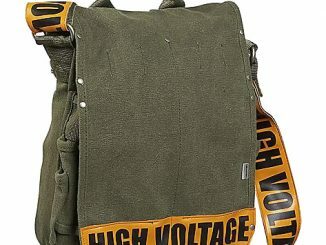 This highly protective laptop bag is constructed of lightweight “Outdoor Industry Tested” 1000d Kodra material, which is extremely abrasion resistant with a water resistant coating. 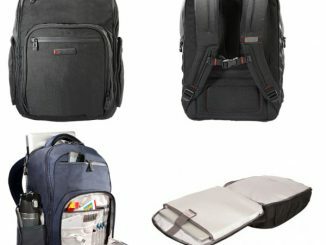 The ample interior compartment has multiple pockets for storing chargers, power cords, memory devices, small electronic devices, office or school supplies and personal items. There is also a super convenient front ticket pocket with a designated cell phone pocket. A breathable back padded design and convenient luggage trolley pass-through feature further adds to the Poseidon’s functionality. For a strong, compact, feature-rich messenger bag for ultrabooks and tablets, the Poseidon K2 202 makes an excellent choice. 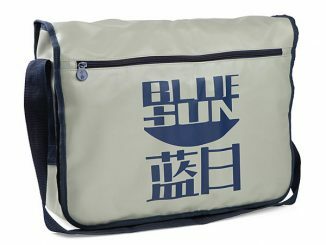 Order the ECBC Poseidon Messenger Bag for $99.99 direct from EC-BC.com in your choice of black, blue, green, linen, or berry. They are also available at Amazon.com.